← Turkey: Can a Unique Democracy be Accepted? Ozbilici, Burhan. “Women shout slogans to protest against a ban on the wearing Islamic head scarves in universities, in Ankara, Turkey.” Digital image. Http://news.nationalgeographic.com/news/2013/10/131011-hijab-ban-turkey-islamic-headscarf-ataturk/. National Geographic, 12 Oct. 2013. Web. 30 Sept. 2015. However, I strongly disagree with this assessment. If it were a sign of oppression why would Muslim women wear veils in countries that wouldn’t force them to wear it? In fact Muslims women in Turkey are encouraged not to wear headscarves, yet many women there, have protested against the headscarf ban in Turkey. 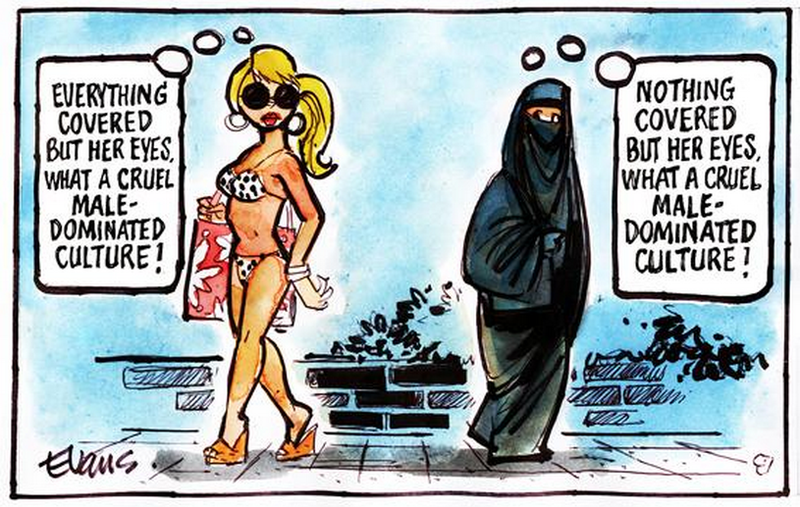 (Smith, 2013:pg 1) Why would they do that if wearing headscarves made them feel oppressed? Could it be that to them (and other Muslim women) the headscarves aren’t symbols of oppression but are rather symbols of their freedom to religion and expression? That is what I intend to explore. 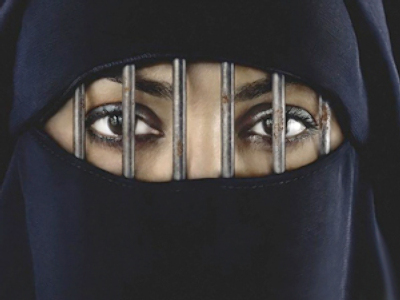 It is not just biased Western views that Muslim women are frustrated with. In Turkey, Muslim women protested against the headscarf ban created by the Turkish government. Previously, this Turkish law had restricted women from wearing religious-oriented attire such as hijab and niqabs in certain civil services, political and educational places (Smith, 2013:pg 1). The purpose of this was to create a secular state that was designed to keep religious symbolism out of civil services and politics. Not only that but it was also Turkey’s attempt to become more Westernized and modern (Sandikci and Gur, 2010:pg 18). Since the Turkish government began to view the veiling as a remnant of Turkey’s Islamic Ottoman past. Therefore the government started to encourage woman to remove their veils to show their dedication to secularism. (Sandikci and Gur, 2010:pg 18) I found this amusing because Western media has stated that Muslim men force woman to wear veils, yet here is evidence of the contrary. Overall by reading these articles and interviews I felt that I agreed with the authors in that Westerners have greatly misinterpreted the meaning behind veils in Turkey. 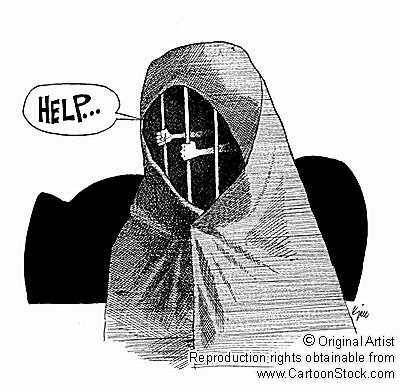 In Turkey veils are most likely not a sign of oppression nor are they a sign of ill intent. Veils and headscarves are instead a choice that women make out of their own free will, and even if they are influenced by their interpretations of religious texts, they aren’t being forced to make the decision to put on the veil or headscarf in Turkey. Anwar, Ghazala, and Liz McKay. “Veiling.” Encyclopedia of Islam and the Muslim World. Ed. Richard C. Martin. Vol. 2. New York: Macmillan Reference USA, 2004. 721-722. Carpenter, Mackenzie. “Muslim Women Say Veil Is More about Expression than Oppression.” Post-Gazette News [Pittsburgh] 28 Oct. 2001. Özlem Sandikci and Güliz Ger, “Veiling in Style: How Does a Stigmatized Practice Become Fashionable?” Journal of Consumer Research, Vol. 37, No. 1 (June 2010), pp. 15-36. Smith, Roff. “Why Turkey Lifted Its Ban on the Islamic Headscarf.” Http://news.nationalgeographic.com/news/2013/10/131011-hijab-ban-turkey-islamic-headscarf-ataturk/. National Geographic, 12 Oct. 2013. Web. 1 Oct. 2015. Yusuf, Hanna. “My Hijab Has Nothing to Do with Oppression. It’s a Feminist Statement.” Dir. Hanna Yusuf, Maya Wolfe-Robinson, Leah Green, Caterina Monzani, and Bruno Rinvolucri. Http://www.theguardian.com/commentisfree/video/2015/jun/24/hijab-not-oppression-feminist-statement-video. Theguardian, 24 June 2015. Web. 25 Nov. 2015. This entry was posted in Student Post and tagged gender, Identity, the west, Turkey, veiling, women. Bookmark the permalink.